Ever since my husband was a little boy he has been in love with blueberry pie. His Grandmother tells us the story of him asking as a young boy for “more blueberry pie Grandma” every time we visit. As a special treat he loves making this pie for our boys. Read on to learn how to make this delicious pie. • Start by preheating your oven to 400 degrees Fahrenheit and making sure your pie crusts are fully thawed. Separate the two pie crusts so they are ready to go. 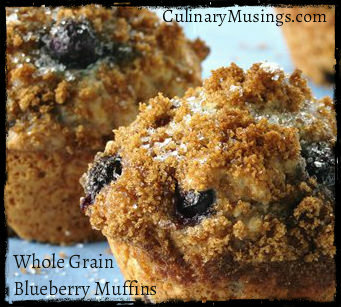 • In your large mixing bowl combine the blueberries, sugar, all-purpose flour, lemon juice, pinch of salt and cinnamon or nutmeg. Mix well using your spoon and pour into one of the two pie crusts. • Carefully remove the second pie crust from its tin and place it over the entire pie to create a cover over blueberry filling. Pinch along the edges of the pie so that no extra pie crust is hanging over and the edges are firmly secure. • Put a table spoon of milk in a dish and spread it all over the top of the pie using the pastry brush. Once it is covered in milk spread your two tablespoons of sugar and cinnamon mixture over the top of the entire pie. • Place an x in the middle of the pie with a knife and place it in the over to bake for 35 to 40 minutes. Watch over the pie carefully and once the edges turn brown place the pie crust covers or foil over all the edges. This will prevent the edges from burning while the pie finishes baking. • Remove the pie from the oven and allow it to cool for about 15 minutes. Slice the pie into about 8 slices and serve topped with a scoop of vanilla bean ice cream. Delicious!